Fireworks, beers, BBQ’s, and buds – that’s what my July 4th weekend is all about. Even a Mariner’s game, what a country. Only a functional sativa could be the correct accompaniment, something that makes life brighter. 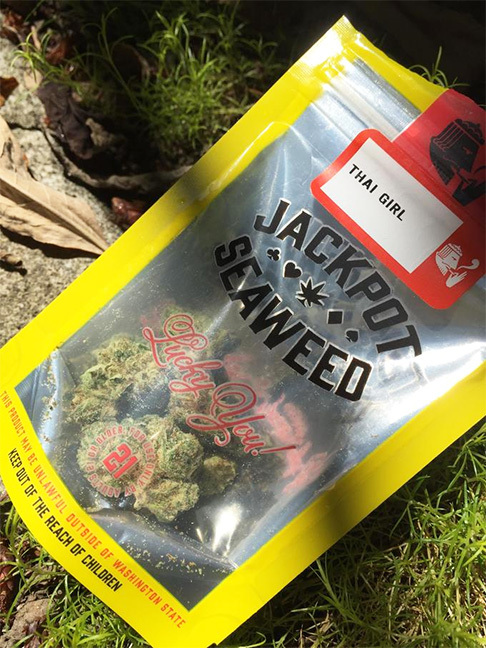 Our patriotic pick goes to Thai Girl from Jackpot Seaweed. Jackpot Seaweed is an offshoot of Liberty Reach, whom we’ve covered in the past. This specific line focuses on providing consistent product at a decent price ($10/gram). I was looking for an upbeat experience, Thai Girl answered the call. Both brands are owned by BMF Washington LLC (subtle), who were recently in a little hot water for using unapproved pesticides. Conversely, they were the #1 Washington Producer/Processor as of May 2015 (I tried to find more recent figures but came up short). Thai Girl is somewhat illusive in terms of Googling, the meat of it’s information coming from Leafly. Originating as a sativa hybrid from Thai Stick x Tres Dawg, it’s famed to have been produced in the 70’s. The strain is known for it’s hyper-energetic attributes. 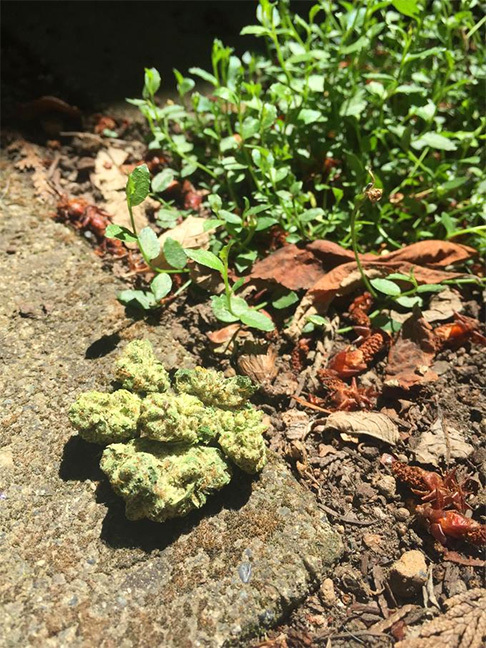 Little buds, little crusted nuggets. Usually the shape or size of the strain doesn’t impact my perception, I know inner beauty when I see it. Thai Girl was cultivated recently, so the flower itself was fresh and sticky. No qualms there. The smell was earthy, kind of like moss; a tropical whiff of lime followed. Flavor was similar, lots of citrus. I tried the flower out of a pipe, and a vaporizer – both yielded a clean taste. 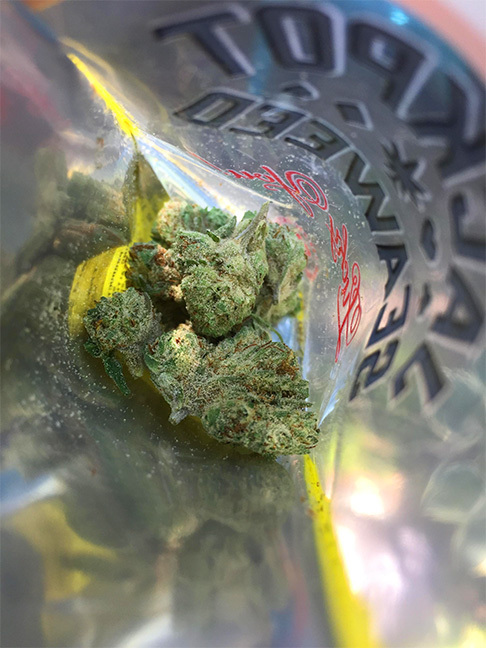 Not knowing what to expect in terms of the experience, I can say now that this strain is smooth: getting high with Thai Girl feels like an island breeze. Upbeat, relaxed and versatile. Not much weighing you down, and super limited sedation. This bud won’t tire you out, in fact I’d suggest smoking specifically to pair with activity, or creativity. Another noticeable aspect of the high is that it’s just right. It’s not overpowering in the head, it’s got some body vibes. Non-paranoia, and seeking out good times seem to be the heading attributes. I wouldn’t recommend this strain to any couch potatoes out there, though. Well – the grill needs a-cleanin’, and there’s only one guy to do it (I’m talking about me). Time to crack open a brew, light a flame, and celebrate ‘murica. You can find Jackpot Seaweed/Liberty Reach products at: American Mary (Wallingford), Green-Theory (Bellevue), and other various shops in the Seattle area. Happy 4th! Missed you for the 4th. We had so much fun that the cops were called! I still want you to come out to Tapps and try out this enail, and maybe have a cannabis infused coffee with us.